The very best managers know a secret that others don’t – that effective delegation is a two-way street. Although not many truly know how to delegate, those who do understand that it’s a benefit not only for them, but also for their staff. Not only do the managers lower their workload, but they provide opportunities for their staff to grow and learn. 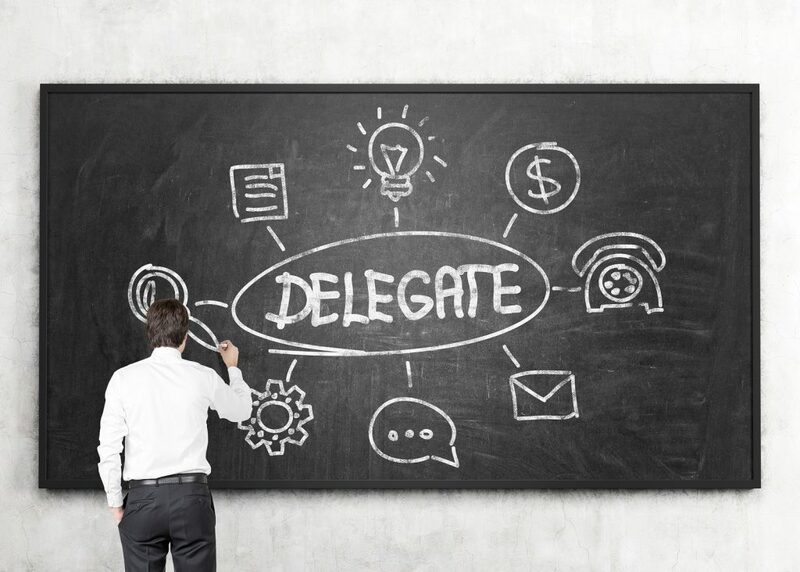 Read the tips below to see three ways the best managers delegate tasks. When you plan on which tasks you will delegate in a single week (and you do need to plan for it), remember that simply asking your employees to crunch numbers or write copy does not engage them in their work. When you assign a single task to a person, you keep them busy, but when you provide a broad picture of how that tasks fits into the long term strategy for the company, you engage that person! It’s important for your team members to understand how their efforts contribute to the overall success of the company. The next time you need your staff to crunch numbers, explain that the report will be used to develop a marketing budget for the next two years. When you need them to write copy, explain that it will be used in an upcoming tradeshow where you hope to sign on clients in a new market. Not only will this knowledge motivate your team, you will empower them to be more creative and forward thinking instead of focusing on a single task. The level of initiative allowed will likely depend on the actual employee and the project they are working on. When you assign the same task two different people, one of them may decide to make all decisions on their own, one will come to you with nonstop questions, and the third will do something in the middle. To avoid ambiguity, you need to let each person know how much initiative they are allowed with every task. Some assignments will need to be followed to the tee, and will need your authorisation for changes. However, other times, you may want a skilled and experienced employee to take the lead and use their creativity and judgement without asking for your input. Delegation is not a one-way process; as such, it is advantageous to work with your subordinates to establish a way that works for everyone. It is helpful to have a starting discussion with your team when changing or setting up a delegation system and ask them for their input. Some of your staffers may benefit from additional training or mentorship in order to work independently, while others may be willing to help those with less seniority. Remember that people learn, listen and speak differently. For example, some may be OK with verbal instructions, while others are more visual learners and may prefer an email with the week’s assignments. Excellent managers know that they must work with their team to finetune the delegation process instead of just assigning tasks and expecting them to complete them.